Since I have started blogging again, I have been trying to create some of my own recipes. Some of them have been tasty from the get go and others I have had to work on them for a while. 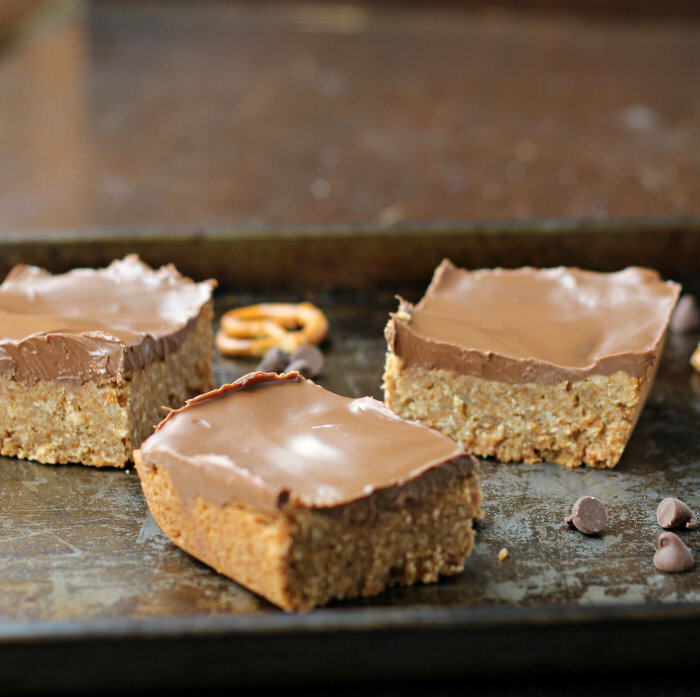 Like these pretzel bars that I featuring today. I have made them several times now tweaking and adjusting, trying to get them the way that I see them in my head. The first time I made them they literally fell apart when I tried to cut them. The taste was there, but the texture needed a lot of work. Now I am to the point that I think they are good enough to let you guys in on the recipe. Plus, I think that my family is getting a little tired of me with all of my tweaking and adjusting. I have been having everyone test tasting these bars and asking them for there honest opinion. I think that I got a little over anxious with this one for some reason. I am not sure where the idea came from these bars, I guess maybe from my love of the combination of sweet and salty. I love the combination of the peanut butter, chocolate, and pretzels. Who would think that such a combination would turn out a cookie bar that so yummy. Some of my test subjects told me that these bars tasted like a candy bar. Yum!! In a food processor or a blender process pretzels until finely crushed, set aside. Grease a 8 by 8 pan and preheat oven to 325 degrees F.
In a medium sauce pan add the butter, brown sugar, corn syrup, heavy cream, and peanut butter. Over medium heat cook the ingredients until everything is melted and creamy stirring as you go, do not bring to a boil. Remove from the heat and add the vanilla and stir until mixed in. Add the pretzels and mix until the pretzels and the sauce are completely combined. Pour the mixture into the prepared pan. With a spatula press the pretzel mixture into the pan. Place in the preheated oven and bake 13 to 15 minutes until the center is set. Remove from oven and set on a cooling rack. 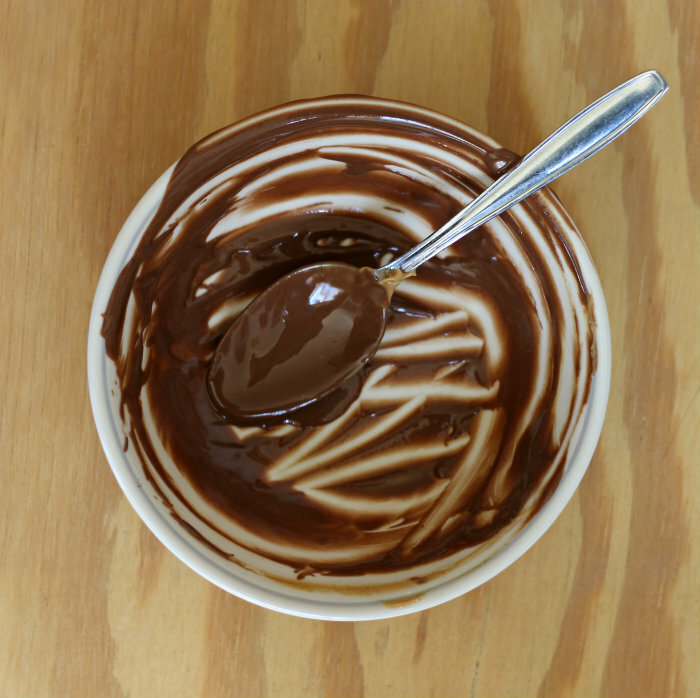 Once the bars are done baking place the chocolate chips and peanut butter into a microwave safe bowl and heat for about 20 seconds, remove from microwave and stir, continue this until the chocolate chips and peanut butter is melted. 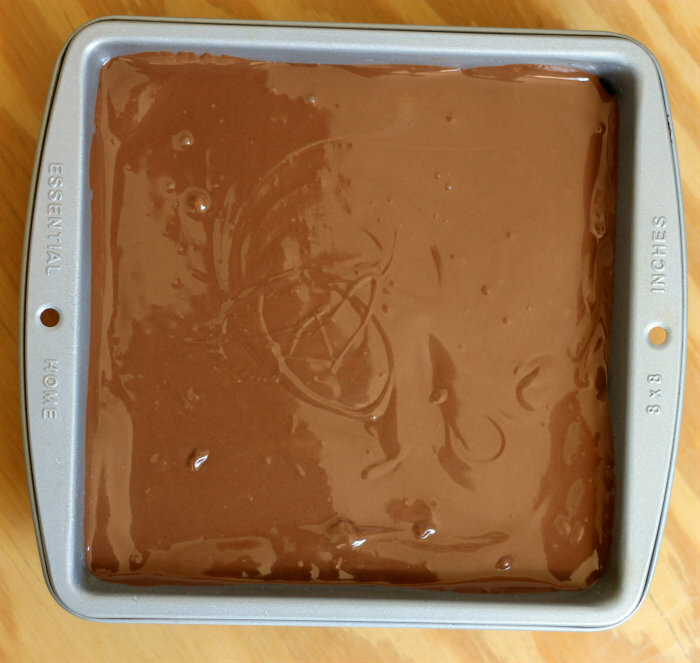 Pour chocolate and peanut butter frosting over the bars and spread to cover the bars. Cool completely before cutting. I need to make this ASAP! These pretzel bars look fantastic, Dawn. Amazing. Can’t wait to make these. I love that you’re developing your own recipes now. No matter how many times you drive your family crazy tasting and retasting, it’s such a great feeling when it finally comes out, isn’t it? Some recipes come together right away, others need several tries to get right. But those are always the best! This looks wonderful — thanks. I love the sweet and salty combo! They look and sound amazing! Sometimes I drive my family crazy like that too – one time I made the same banana bread four times in a row. Loving your new recipes! 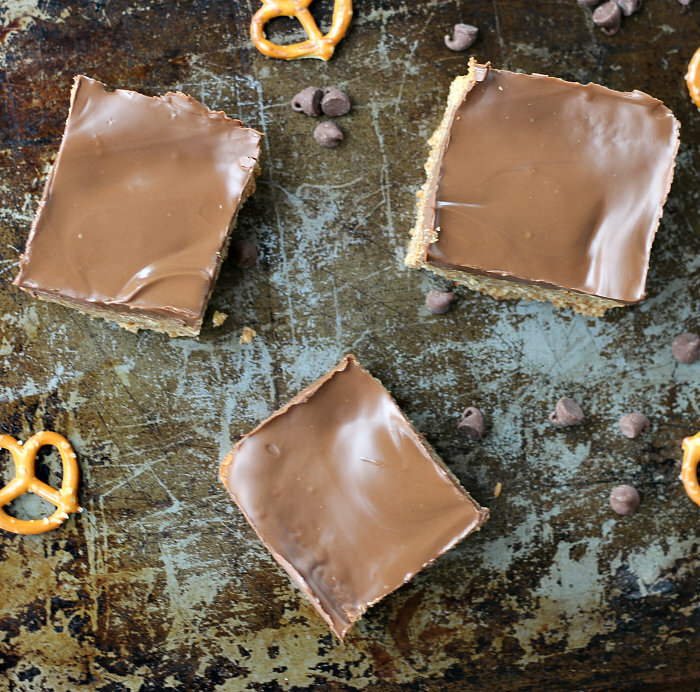 Sweet and salty is always an awesome combination and these bars look simply amazing!